If you are a photographer who has made some captivating clicks and want to make a portfolio to install your professional presence, WordPress is an ideal platform to create portfolio sites. When it comes to photography, your need to do maximum justice to your website to make it attractive and informative. However, in terms WordPress development, one may come across a plethora of different themes to choose from and you will find yourself chasing your own tail to find the best one. When planning for a website theme for your photography site, you have to look for a design as well as typography which flatter your images than overpowering them. With plenty of slider options and various customization features, it is not difficult with WordPress themes. At the first point, make sure that you choose the most appropriate platform for your website as you are here, the self-hosted WordPress.org can be one for you. Sign up for a hosting account first as all websites you build on WordPress need to be hosted. Pick the apt domain name also best suiting to your business needs. 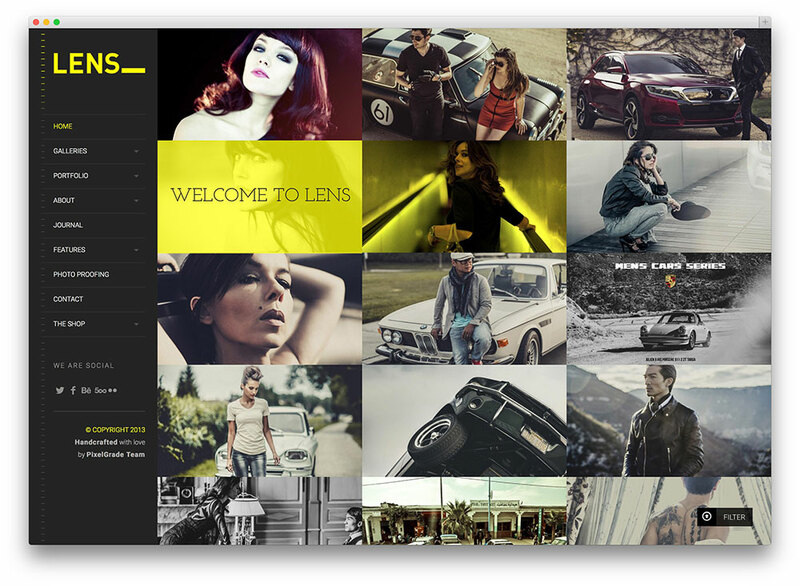 Lens is a surprising flat WordPress theme that strives to deliver premium experience and look. 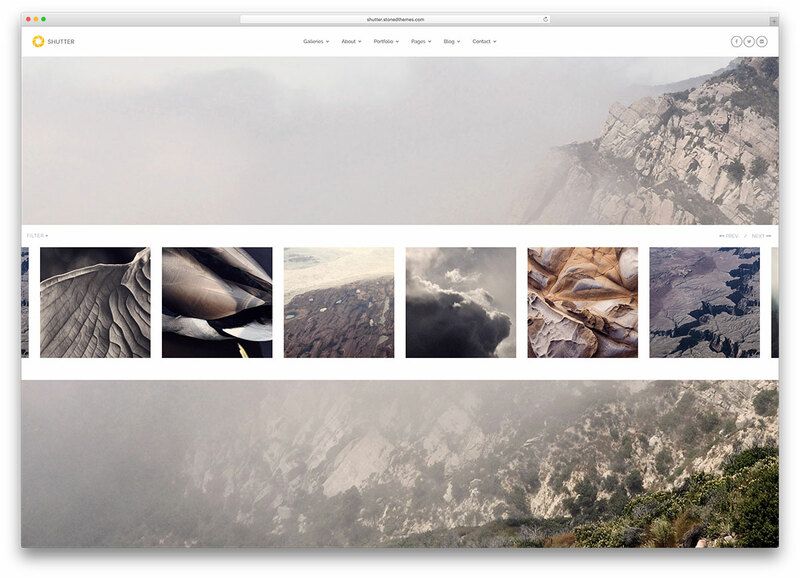 The developers created this theme for photographers that cares about the displayed of their photographs. 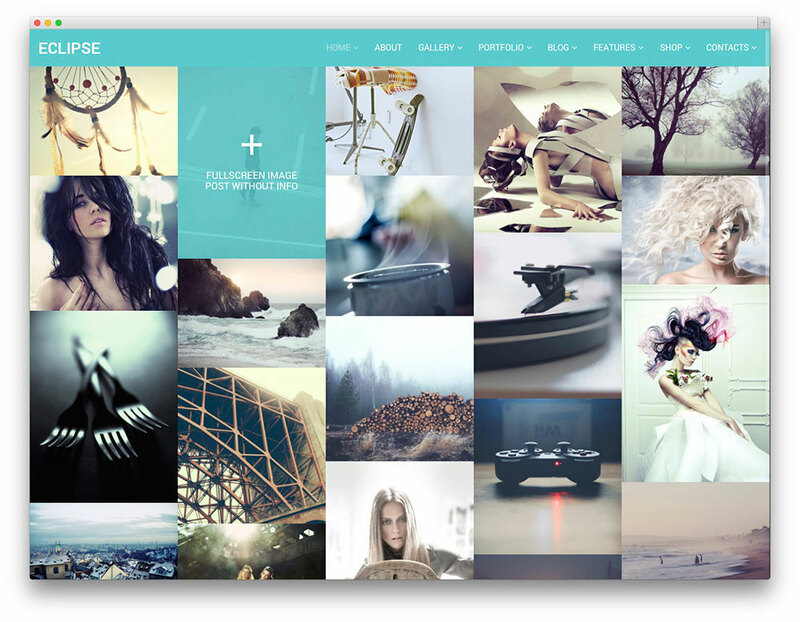 Dreamscape is an expressive and responsive WordPress photography multipurpose website theme. This theme is an eloquent framework for creating beautiful visual and navigational experiences. 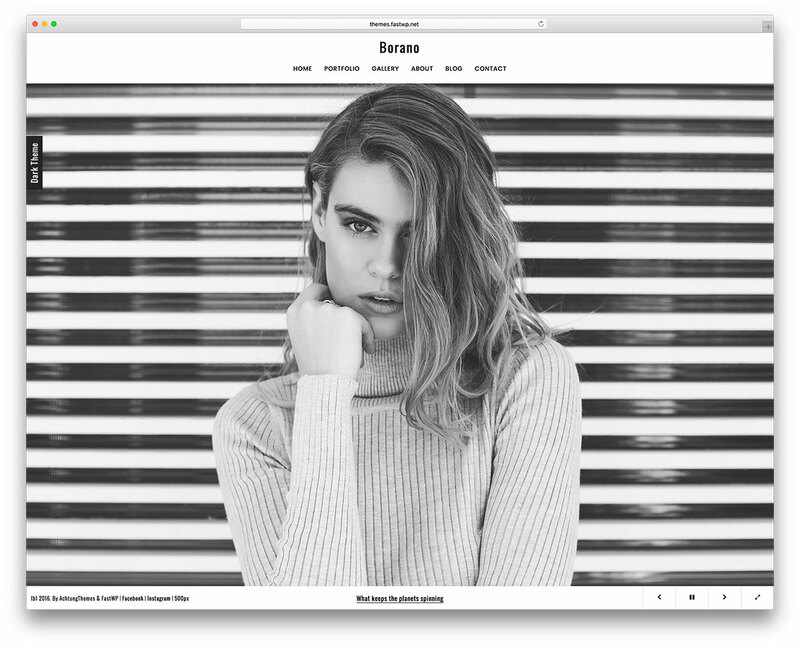 Borano is a clever and very resourceful, sleek and attractive, intuitive and fast-loading responsive WordPress photography and portfolio website theme. 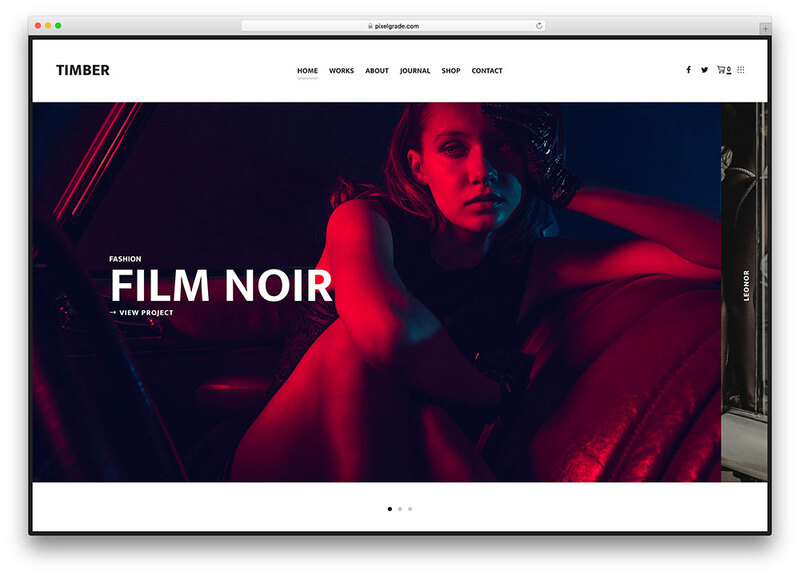 Darkroom is a retina ready full screen WordPress theme designed for photographers, illustrators, graphic designers and other creative professionals who wants to showcase their stunning work on the web. 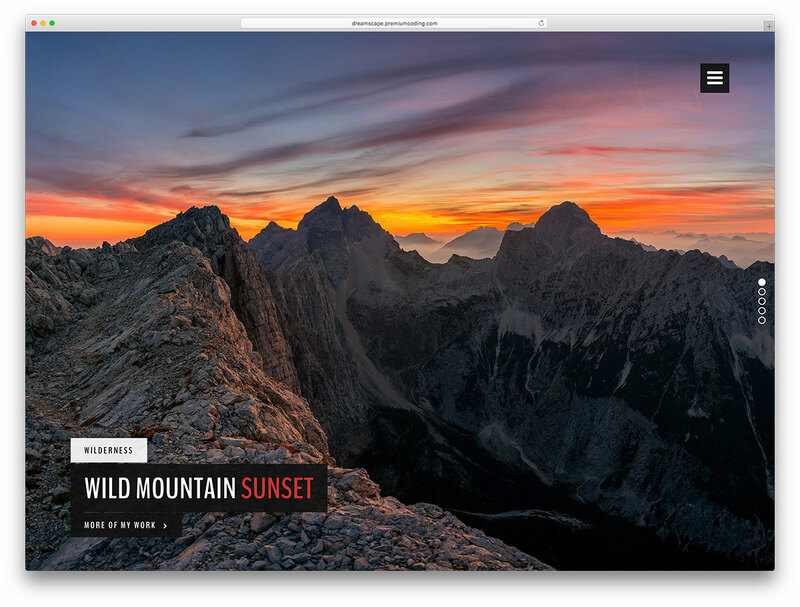 Foto is a beautiful and visually stunning, flexible and lightweight, easy to use and tech-savvy, highly responsive WordPress photography website theme. Amory is a very visually attractive and seamlessly composed modern and deeply engaging, easy to use and very user-friendly, intuitive and stylish, technologically refined and readily responsive WordPress creative multipurpose website theme. Shutter is an incredibly gorgeous and profoundly impressive, solemn and sober, graceful and stylish, aesthetically minimal and polished, technologically engaging and cutting edge, smoothly animated and quite dynamic, malleable and flexible, functional and resourceful, creative and highly responsive WordPress art and photography multipurpose website theme. Bow is a streamlined WordPress theme that is ideal for professional photography websites. It is available in high resolution, and it is compatible with most web browsers. 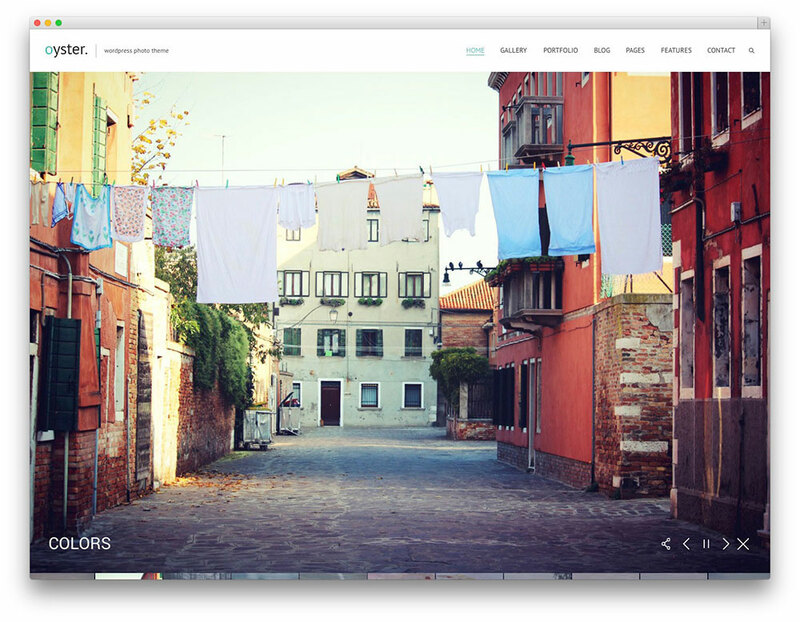 Oyster is a creative photography website template built with the latest HTML5 and CSS3 code. The theme’s user-centric Oyster HTML Photo Template enables you to transfer your portfolios or any other photo works into a clean and organized canvas. A beautiful name for a beautiful theme – Camilla. This theme shifts focus on your work and creativity. It has loads of awesome features such as horizontal scroll, parallax, scroll, minimalistic design, fullscreen galleries, one-page setup and much more. Overall, this is the right theme if you are looking for something fresh, clean and modern. There is no better way of displaying creative photography on the web. 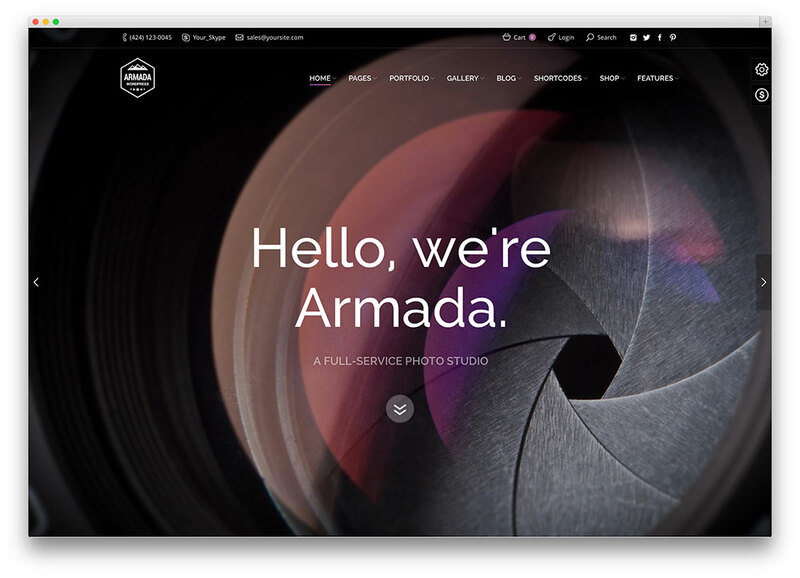 Armada listens to the requirements of creative professionals and amateurs alike, resulting in a very efficient multipurpose WordPress theme. 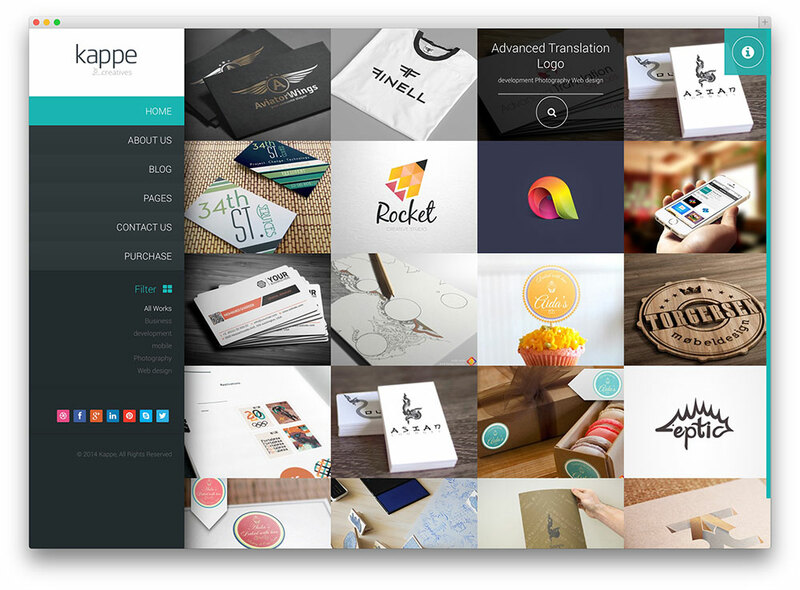 Kappe is a modern and beautiful WordPress theme for portfolio website to showcase your work and photographs. The creators made this theme optimized for mobile devices such as tablets and smartphones. 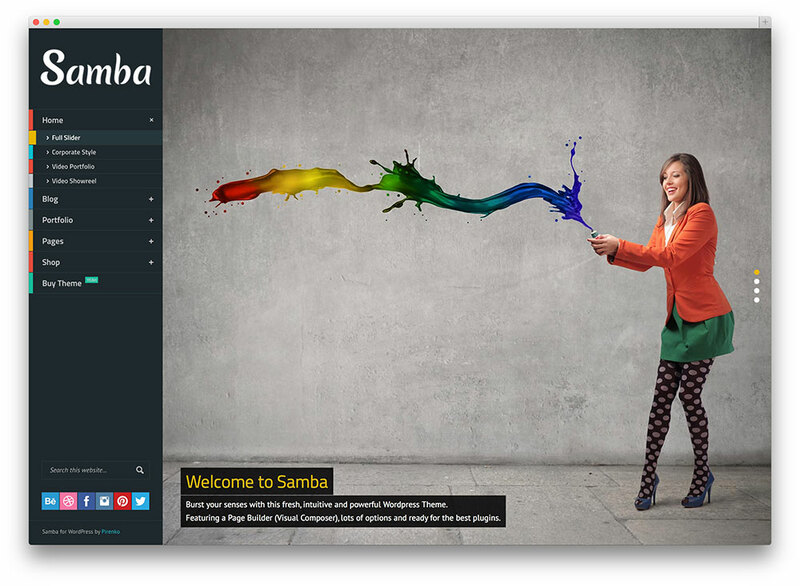 Colorful Samba WordPress theme comes with ton of customization options and page builder. 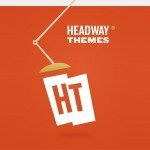 If you are looking for custom-built solutions, you can perfectly use this theme for that purpose. 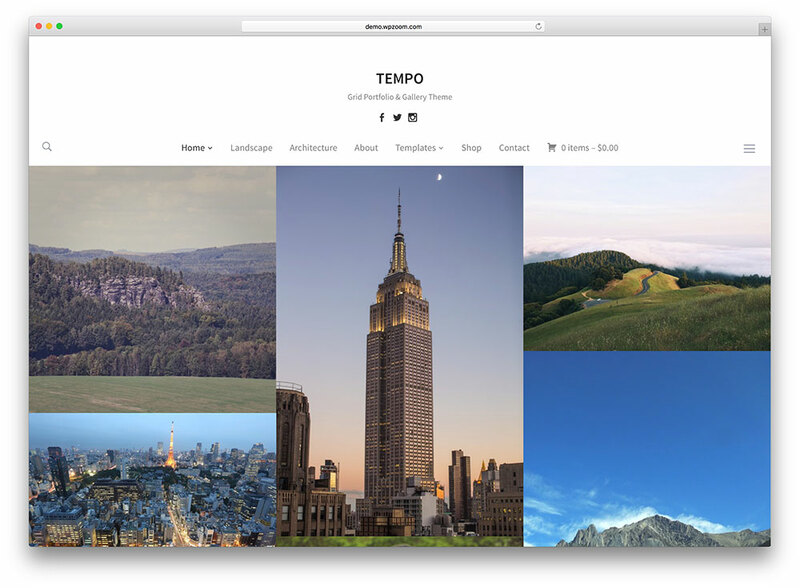 Tempo is a beautiful, aesthetically accomplished, powerful and easy-to-use WordPress responsive theme, designed with the needs of very visual-heavy websites that need to showcase tons of high resolution images and photography to a wide audience of unknown composition or demographics. 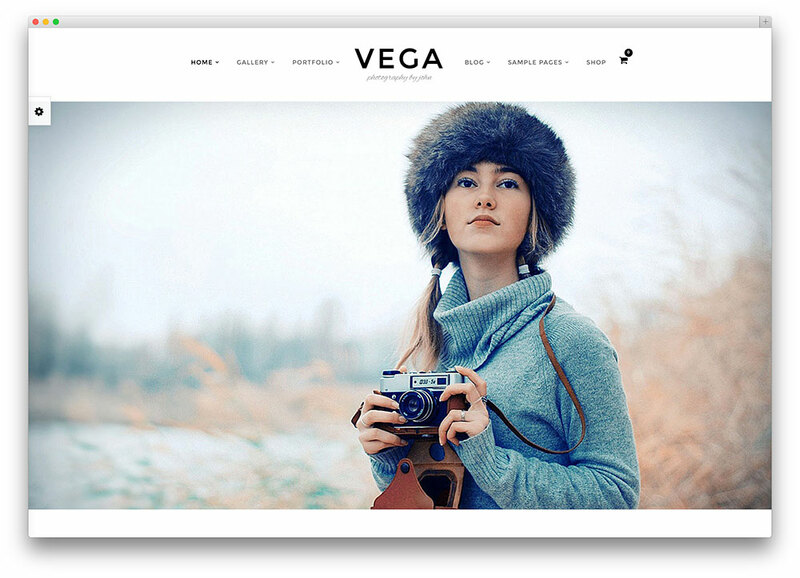 Designed for the true artist, Vega is the photography WordPress theme that never ceases to impress. It is a Widget-Ready, High Resolution theme that works with most web browsers. It is compatible with WPML, and the theme’s documentation is very extensive. The layout is fully responsive, and users will not encounter problems while viewing content from mobile devices. eClipse is a clean and minimalist photography theme that will definitely make your works standout. This theme is also fully responsive, retina ready and coded with the latest HTML5 & CSS Code. 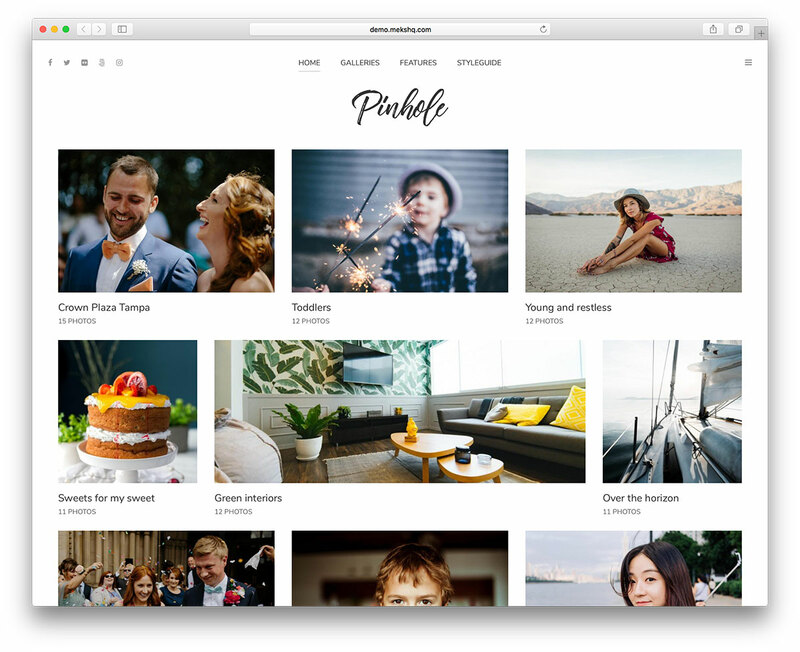 Pinhole is a WordPress theme built for photographers, freelancers and photo lovers. It is a creation for independent people and their businesses. You will get it with support and documentation in a set up guide to start. 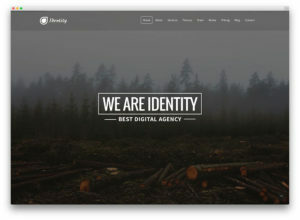 TIMBER is a unique and conceptually innovative, highly creative and very memorable, visually stunning and graphically refined, aesthetically capricious and inspired, technologically competent and capable, resourceful and functionally rich, modern and unusual responsive WordPress photography theme. 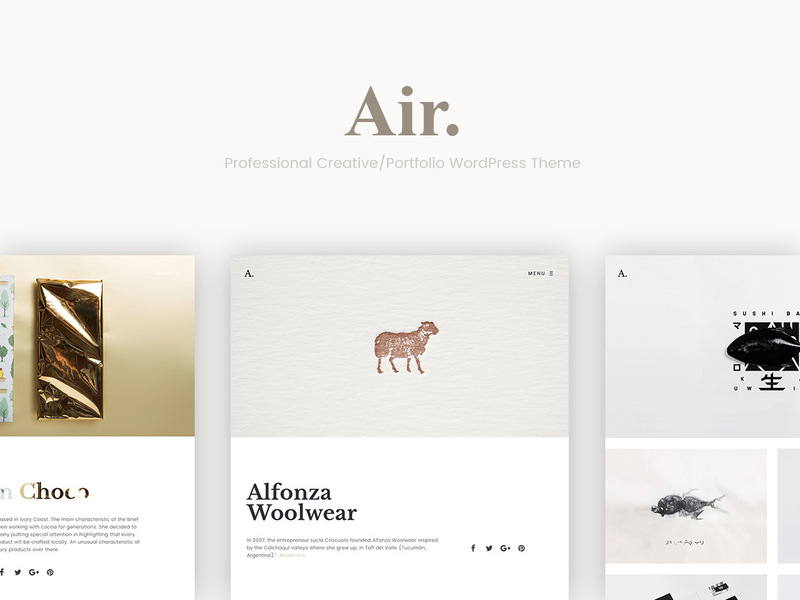 Air is a minimalistic portfolio WordPress theme that offers appealing looks. 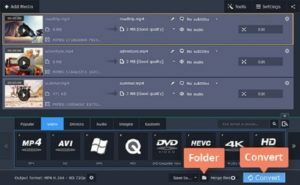 It offers several demos and tons of useful shortcodes. Have fun playing with lots of layout elements with pre-made and custom options. 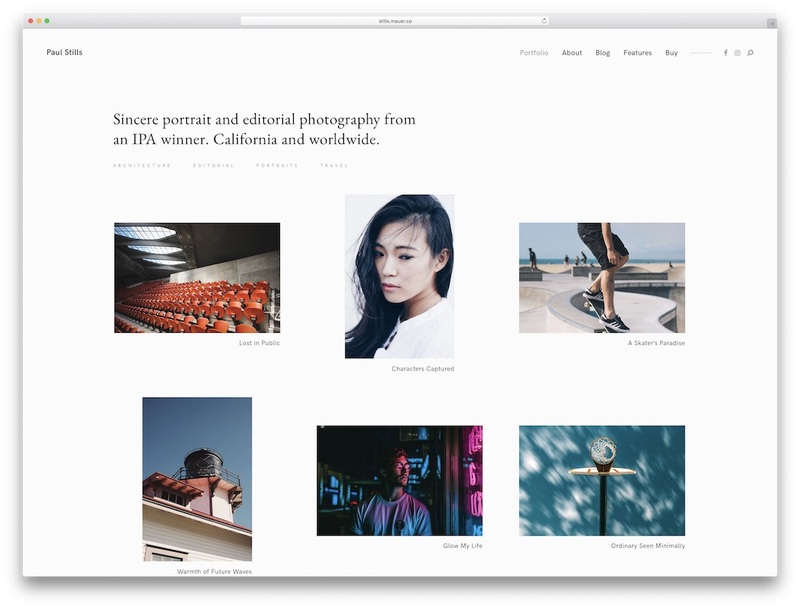 If minimalistic and sophisticated is your way, then Stills is definitely the photography WordPress theme you need, period. The web design is the cleanest out there, focusing on your pictures first and foremost. 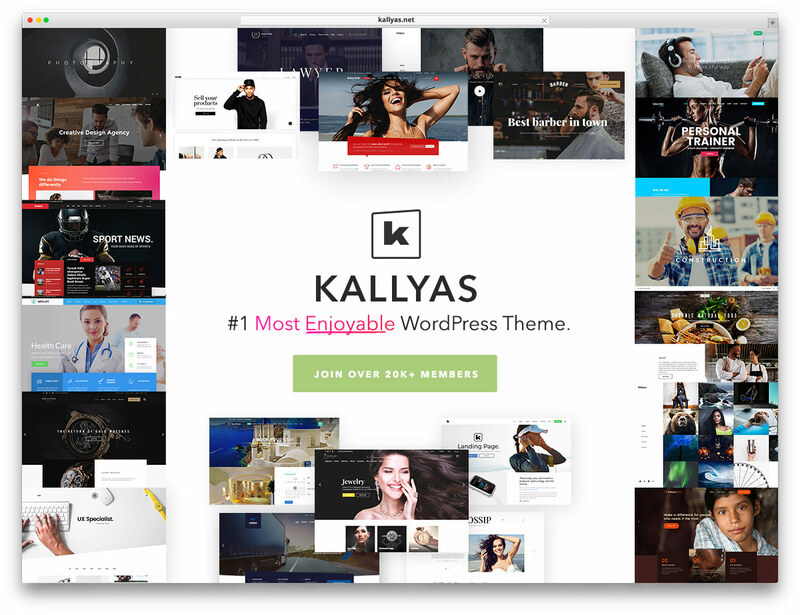 Kallyas is a fluid and responsive WordPress creative multipurpose website theme. It’s an incredible website-building framework. It includes a broad collection of tools and assets for shaping awesome websites. 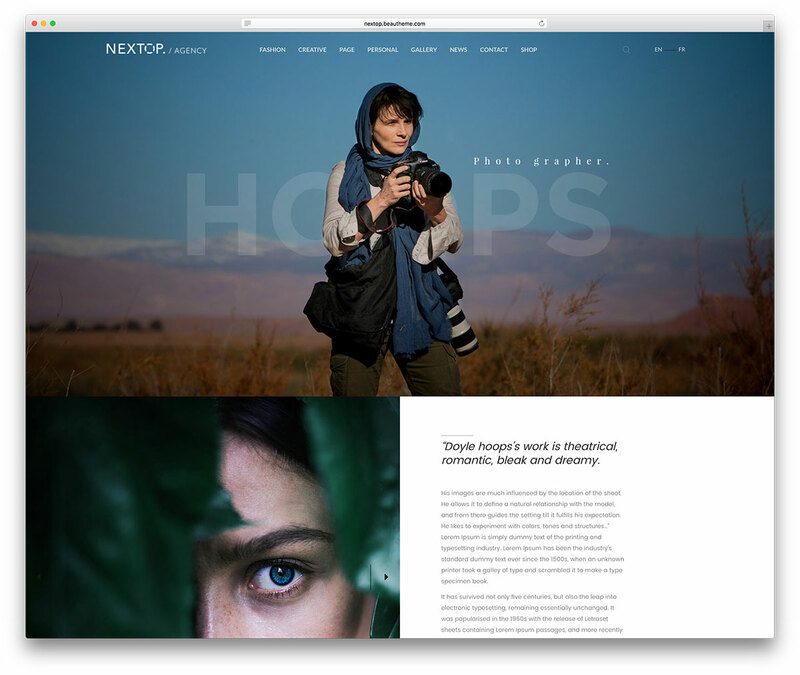 Nextop is a stylish and bold, colorful and classy, professional and polished, readily responsive WordPress elegant multipurpose website theme. 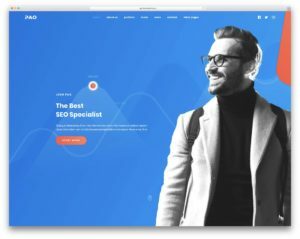 It’s a uniquely visually eloquent theme that has been designed specifically for the needs of webmasters dabbling in the creative and artistic fields. 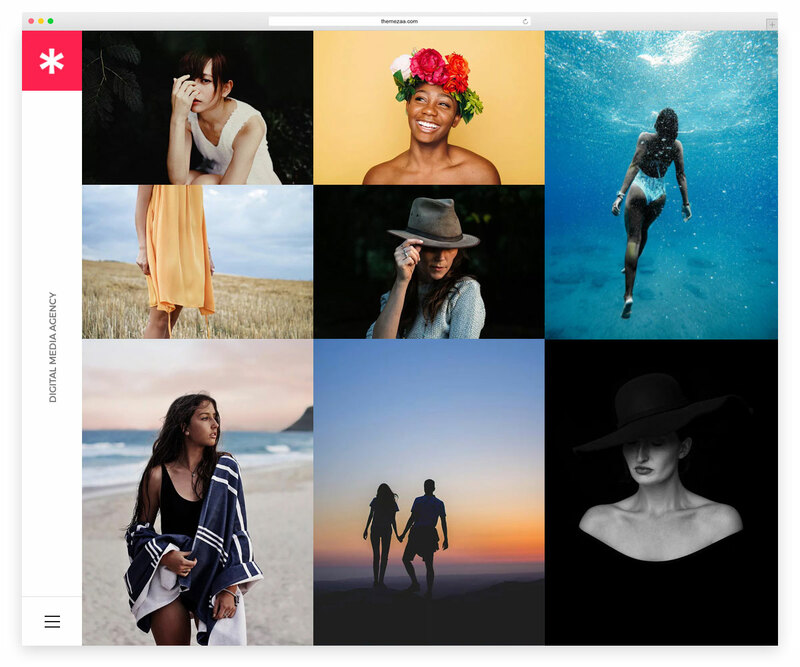 Inspiro is a gorgeous, visually stunning, flexible and powerful WordPress responsive photo-focused theme. 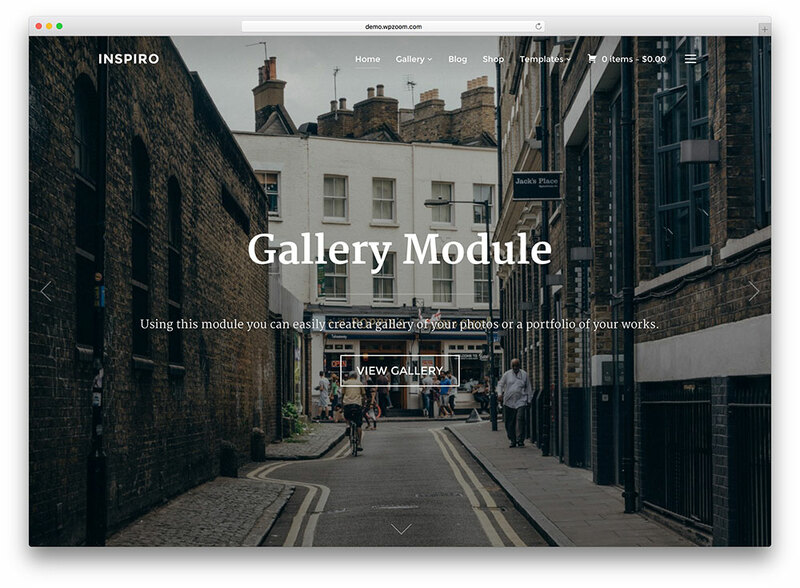 While well suited for the design and construction of a number of different website projects, Inspiro truly shines the brightest when in the hands of professional photographers. POFO is an innovative, eloquent and responsive WordPress creative portfolio website theme. This theme is a perfect modern showcase that requires no coding skills whatsoever. 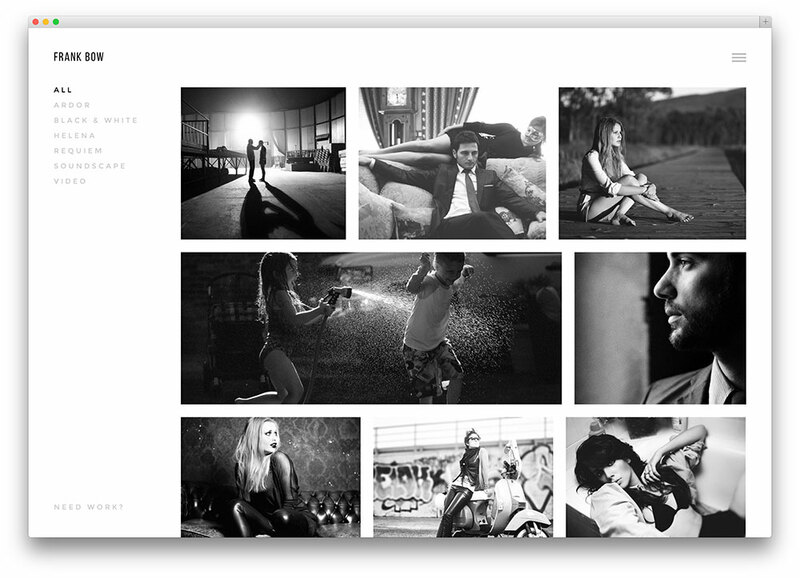 Packed with enticing templates to present visual content to audiences, photographers love POFO. 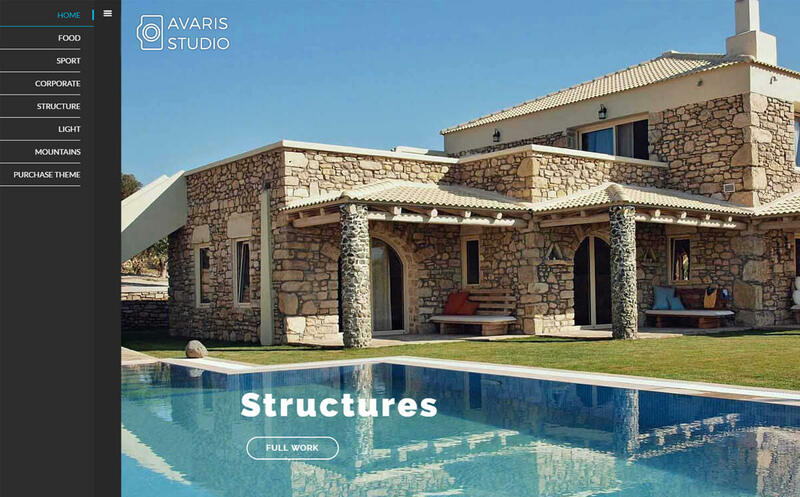 Avaris is a beautiful and creative, visually stunning and attractive, clean-cut and modern, readily responsive WordPress multipurpose website theme. 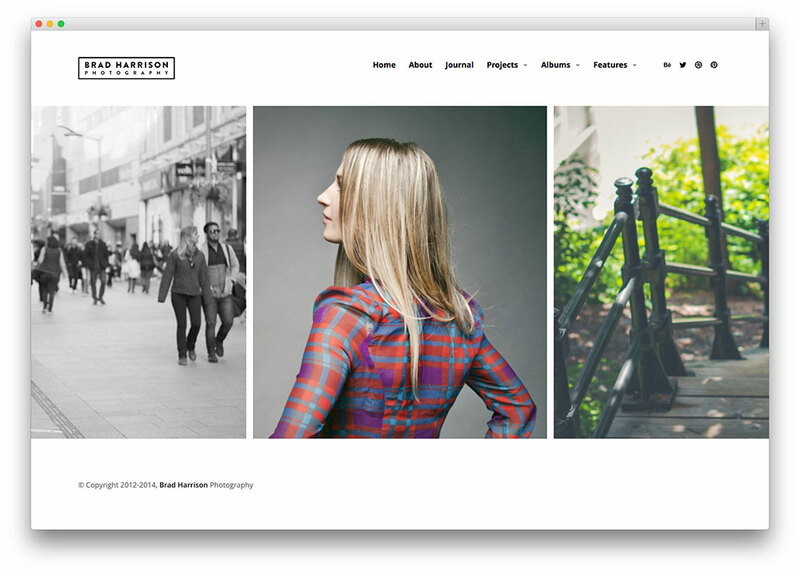 Superba is a WordPress theme whose focus is media and photography. Projects, albums, and media tagging are all features that can be yours. The creators also made this theme the artist’s needs in mind. 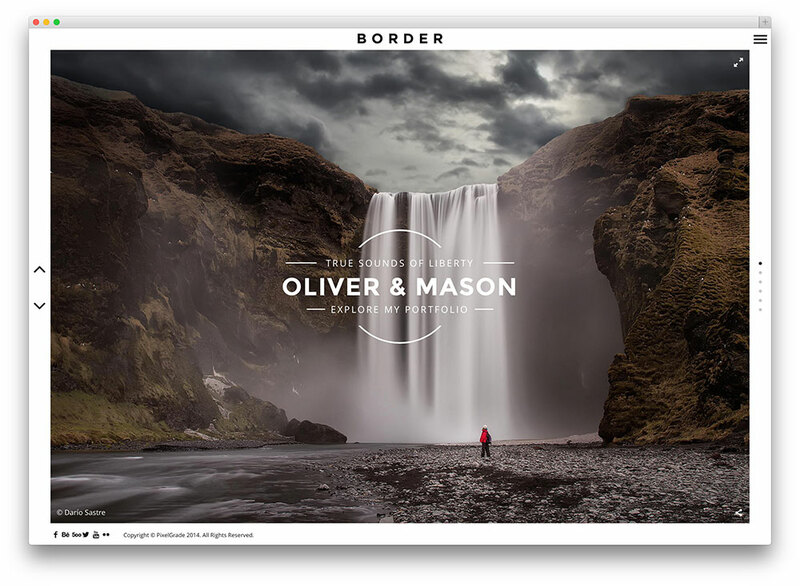 BORDER is a unique and easy-to-use Photography WordPress theme built with the professional photographer and their needs as the main ‘focal point’. It also comes with an intuitive designed interface, carefully crafted to ease the way to showcase your unforgettable photos. Photocrati is a clean, modern and highly customizable WordPress theme with over 60 style variations out-of-the-box. There are literally endless ways to customize this theme to your needs. 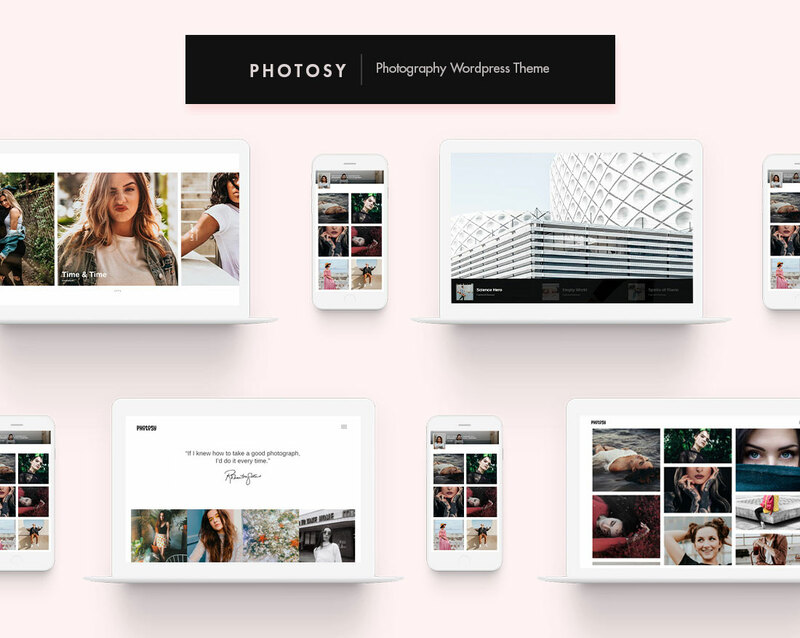 As its name suggests, Photosy is a photography WordPress themes that will help you push you works in an enticing way. It is a neat, tidy and modern tool for putting together websites fast and secure. 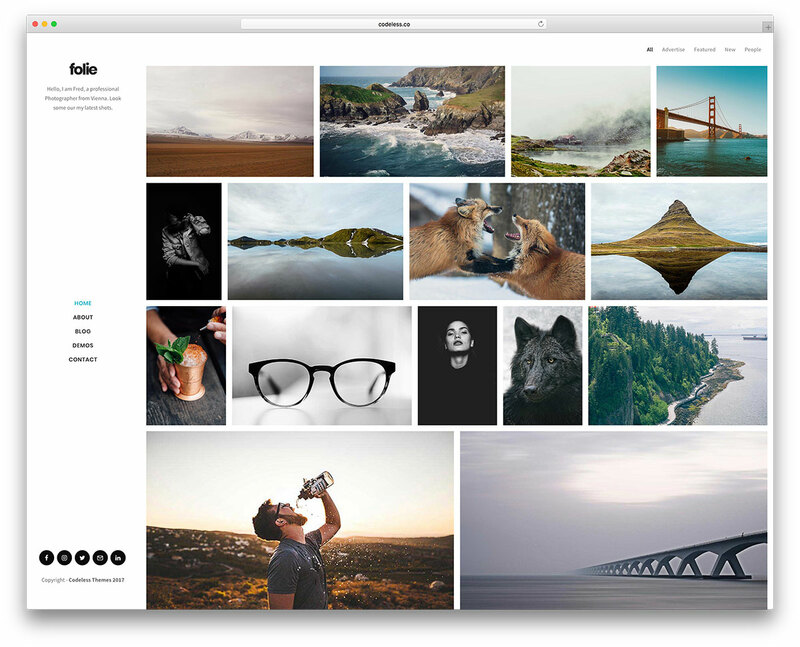 TwoFold is a professionally developed, durable and powerful, attractive and engaging, readily responsive WordPress premium fullscreen photography website theme. 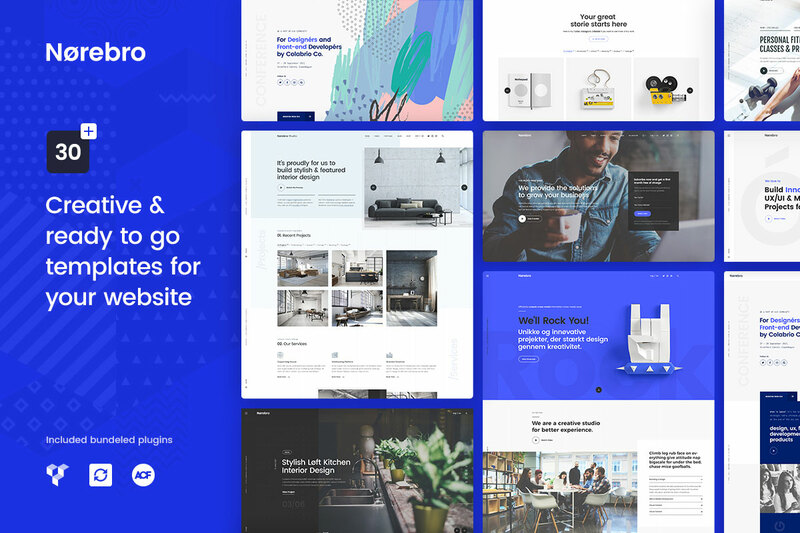 Norebro is a stunning and pristine creative WordPress multipurpose website theme. This theme is an intuitive toolkit for building modern, polished websites in a flash. Total is a full-featured and tech-savvy, creative and competent, robust and visually stunning, highly responsive WordPress multipurpose website theme. It’s a reliable platform for quickly and effectively putting together modern and functional websites that can satisfy the needs of webmasters within a multitude of industries, interests and subject matters. Folie is a stunning, eloquent and responsive WordPress multipurpose website theme. 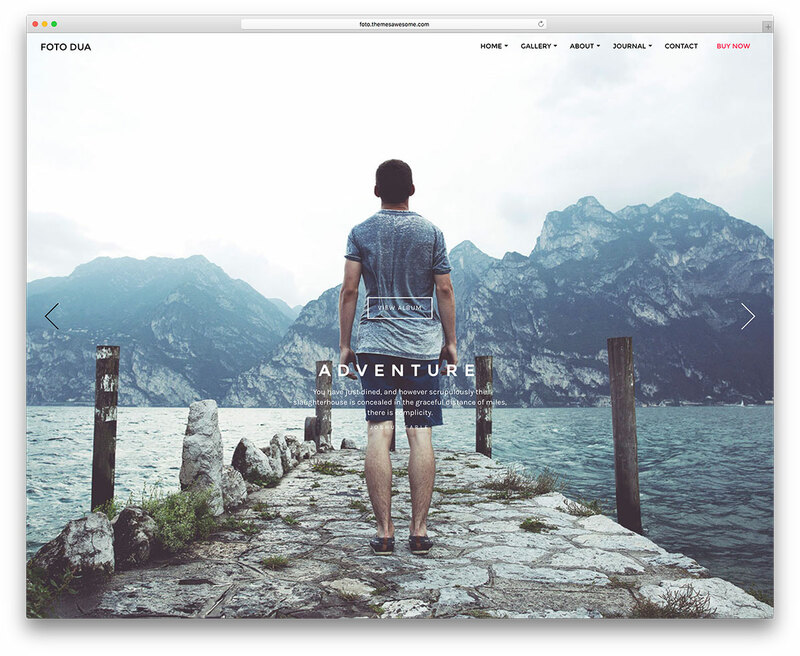 This theme is the ultimate tool to craft handsome, stylish modern websites. Impactful and bold, Folie includes 25 professionally-designed demos that make a statement. Customize them to your heart’s content with the unique Visual Live Builder. 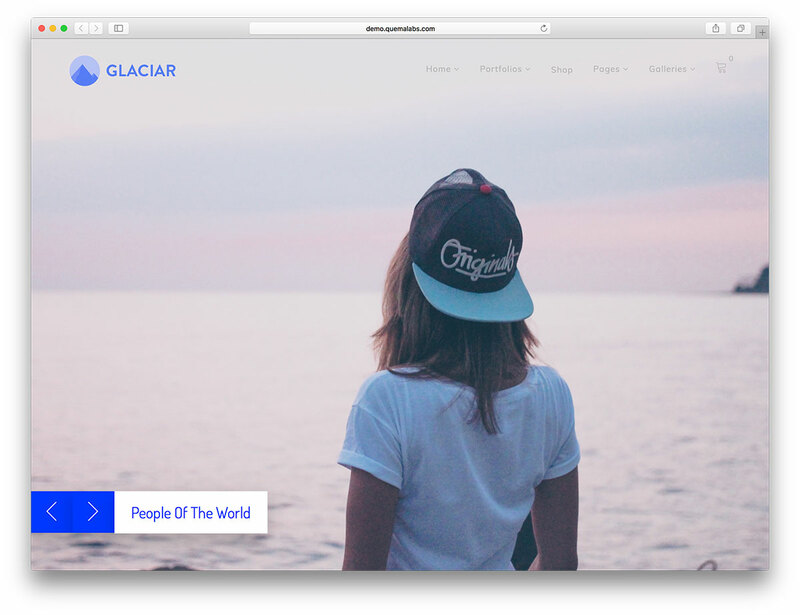 Glaciar is photography specialised WordPress theme. It comes with multiple portfolio options and lots of design versatility features. Glaciar is a Retina ready high resolution theme ideal for any type of image.